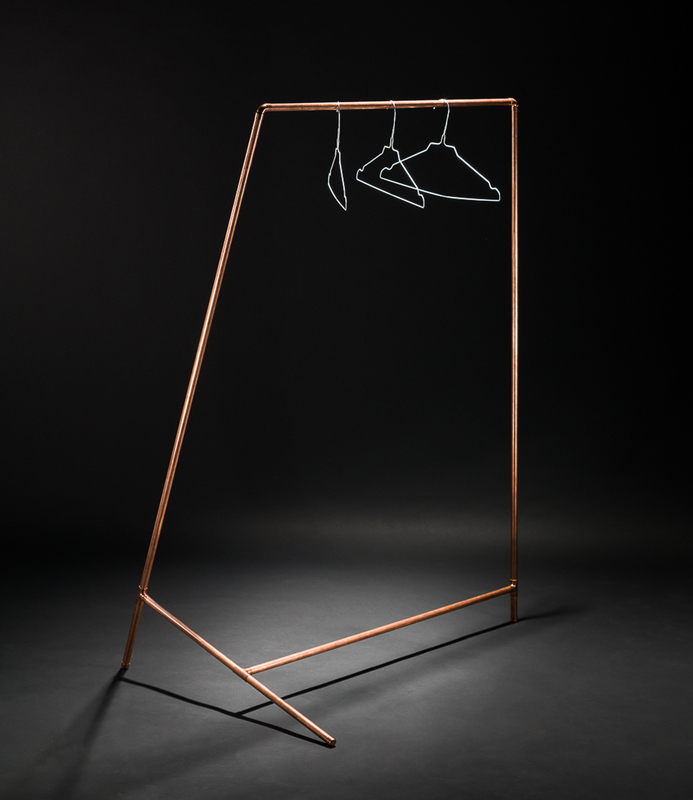 As the project title already indicates the "DIY" coat rack is based on the idea of building your own minimalistic coat rack with using materials you can get at regular home improvement stores. The challenge was to achieve a modern product with a professional appearance just by using ordinary copper pipes, suitable copper fittings and simple plumber tools. Therefore being limited to 90 degree fittings I found it very interesting to generate shapes questioning the obvious.